Pathfinder International has reaffirmed its commitment to strengthening sustainability of State Advocacy working groups for family planning in the country. To this end, a week long Integrated Training on Financial Policy and Resource Mobilisation is underway in Abuja for 2 Advocacy Working Groups drawn from Kaduna and Oyo States. The groups are Family Health Advocates in Nigeria Initiative, FHANI, and Advocacy Network of Nigeria. At the opening, Program Officer of Pathfinder International, Yusuf Nuhu told the participants that the development Agency was not only poised to increase their skills in building and nurturing sustainable organizations, but strengthen their financial management capacity. 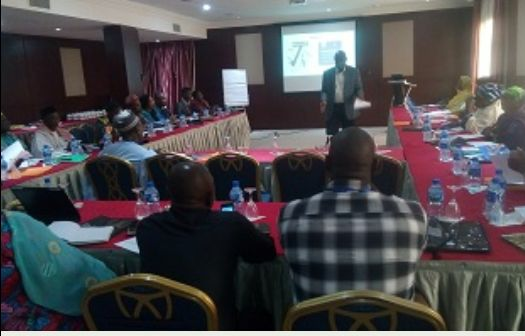 Other objectives of the training, he said, are enhancing resource mobilization skills of the participants as well as improving their skills in developing and writing fundable proposals. The Program Officer was confident that at the end of the training, the participants would have been empowered with capacity to develop financial management policies, resource mobilization and Grant proposals. He declared that the selection of the two Advocacy Groups was based on their Sustainable structure and firmness. Nuhu said the sustainability of a voluntary organisation largely depends on how the people and resources are managed regardless of challenges, an attribute identified with the 2 advocacy working groups. In a presentation, a financial expert and a Resource Person, Mrs. Olamide oyelade stated that financial management plays a key role in the running of a successful business and also helps organizations to be more accountable to donors and other stakeholders. It also helps managers to make effective and efficient use of resources to achieve set objectives. Describing transparency and integrity as some of the characteristics or principles of effective financial management, the expert said managers should be honest and operate within the guidelines. Oyelade also spoke on the need for organizations’ financial profile and system to be consistent so as to promote efficient operation and transparency. Inconsistency approach to financial management, she emphasised, is a sign that there is manipulation in the system. Participants are among others, brain storming on development of resource mobilization plan, strategies, approaches, tools and materials as well as proposal format and writing.